Kuralarasan has acted in films as a child artist and worked as a music director in Idhu Namma Aalu. He is the son of T.Rajendar. and younger brother of STR aka Simbu. It was recently announced that Kuralarasan is getting married on the 29th of April in Chennai. While a lot of celebrities are expected to be invited and to attend the wedding. 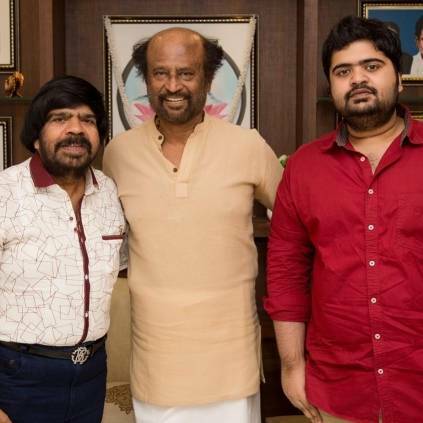 T.Rajendar has met our Superstar and invited him to his son’s wedding. T.Rajendar has met Superstar Rajinikanth at his residence along with his son Kuralarasan today. He has invited him for his son Kuralarasan’s wedding that is set to happen at a luxurious private hotel in Chennai on April 29. Earlier, T.Rajendar and Kuralarasan had also invited Vijayakanth for the wedding. Superstar’s recent film Petta turned out to be a blockbuster and the shooting for the next film with A.R.Murugadoss is expected to begin shortly. People looking for online information on Kuralarasan, Rajinikanth, Simbu, T.Rajendar will find this news story useful.